After 10 years, being foster parents with Quinte Children’s Homes (what we call Parent Therapists) isn’t a job as much as it’s just the way family has come together for Justin Sear and Shannon Crosbie-Sear. Aged 22 and 25 when they first started with QCH, both say that being a Parent Therapist has shaped who they’ve become as adults. Originally from the Quinte area, Justin and Shannon were looking for a way to move back. “We were recent graduates living and working in Toronto; we wanted meaningful work that would bring us closer to our own families,” Shannon explained. QCH offered a solution that could give them the quality of life they were looking for. Justin stays home full-time to support their four foster kids, while Shannon works part-time with another organization, helping youth with physical and emotional disabilities with daily activities. Shannon says she appreciates the benefits of being a Parent Therapist: Making a difference for the kids, working from home and setting your own schedule, as well as the great connections you make with other community-based organizations. However, she also cautions that being a Parent Therapist is a significant commitment. “If you change your mind after a year, it’s the kids who will feel the consequences,” she noted. 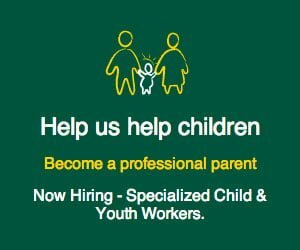 Shannon noted that, if possible, it’s a great idea to start as staff and help out so you can learn about being a Parent Therapist, as well as programs and training. “These kids often have significant mental health issues, even trauma, so you need to adjust your parenting style and have the right skills to help them,” she explained. Justin and Shannon say there’s no question that becoming a Parent Therapist is a lifestyle change, but they wouldn’t change it for anything. 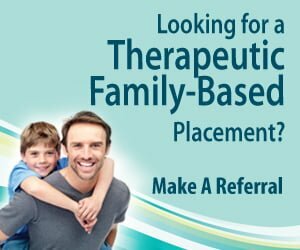 To learn more about being a Parent Therapist, contact us directly at 613-968-8569. This entry was posted in QCH Success Stories, Quinte Children's Foster Homes. Bookmark the permalink.